So, the time has come to replace the windows at your home in Pensacola, Florida. Perhaps you want new windows because your current ones are outdated and have faded paint. Or maybe you’re concerned about energy efficiency and want windows that can better insulate your home from the sun. No matter the reason for your window replacement, your first order of business is to find a company that you can trust for this important task. 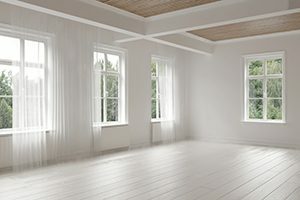 Since investing in new windows is significant, you don’t want to choose just any company, but one that offers top-of-the-line products and service. The question is, how do you find such a company? What kind of windows do they install? Do they offer a warranty for their products and/or services? What trainings do they require of their installation crews? Do they provide complimentary consultations and free estimates? Have they won any awards or certifications based on their customer service? The company you can trust for a window replacement in Pensacola is Majors Home Improvement. Since 1997, we have been installing our Majors Select™ Vinyl Windows that are durable, energy efficient, and low maintenance. Our windows are installed by factory-trained craftsmen and backed by our double lifetime warranty covering the product and service. And, we’ve held an A+ rating with the Better Business Bureau and a five-star rating with GuildQuality for many years. If you’d like to get your window replacement project started today, contact the team at Majors Home Improvement. When you do, we can schedule a complimentary consultation at your home in the Pensacola area that will include a free estimate.